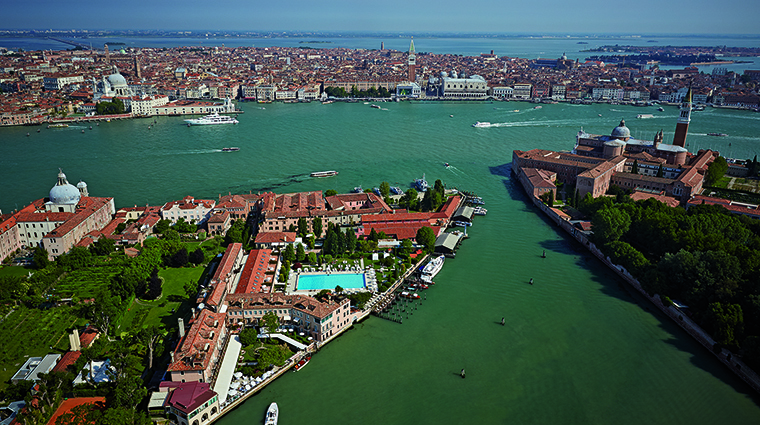 Belmond Hotel Cipriani has a storied place in Venetian history. Founder Giuseppe Cipriani invented the Bellini cocktail and was also the proprietor of Harry’s Bar, a famous local hot spot frequented by Ernest Hemingway. The expansive Belmond Hotel Cipriani continues to carry on that legacy with unparalleled charm, service and amenities. 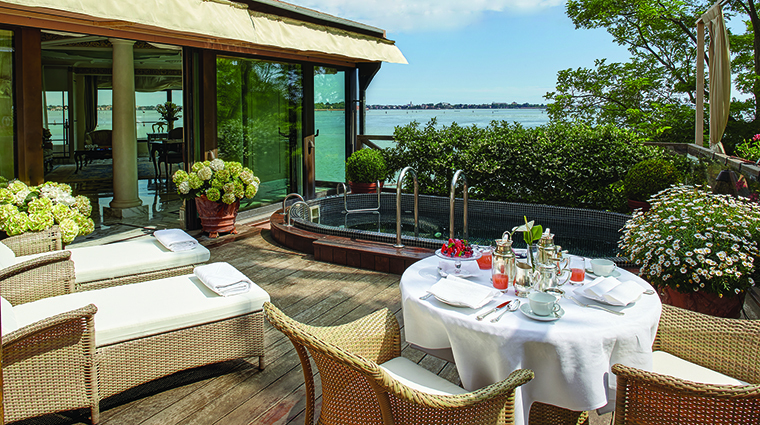 Perched on the tip of Giudecca Island, the hotel boasts top cuisine; exclusive, best-of-Venice boutiques (where you can purchase the extravagant linens from the hotel beds, among other things); manicured gardens; and a garden-adjacent heated saltwater pool. This country escape feels a world away from the urban bustle of Venice. The interior of the property is just as lush as the well-kept estate. 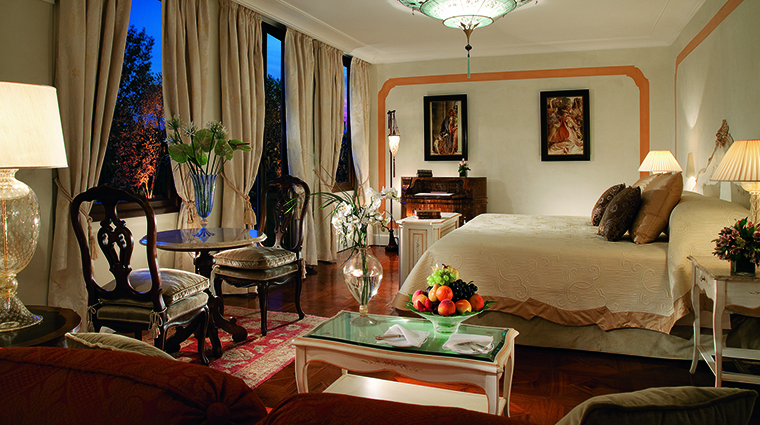 You’ll find exquisite, made-in-Venice touches such as Murano glass, Fortuny fixtures and Rubelli fabrics. Discreet, courteous and efficient service is the norm throughout the luxury hotel, whether you’re dining at Oro or brand-new trattoria Giudecca 10, drinking at Cip’s Club or taking a dip at the pool. For those who need extra attention, the 16 rooms and suites in the Palazzo Vendramin annex come with a private butler to attend to your every need. You have to sip and sup — alfresco, of course — at Cip’s Club: The charming waterside bar includes a covered deck that stretches out over the lagoon, offering amazing views of the canal and San Marco in the distance (you can even hear the faint sound of the church bells). From the second you step off the hotel’s private launch, you’ll be met by staff and escorted under a vined, flowering awning to the intimate lobby. The service throughout the Venice hotel — from check-in to checkout — is polished, yet warm and hospitable. The property’s gardens are for more than just show: the smells waft throughout the property, and herbs are freshly picked each day for use in the hotel’s cocktails and cuisine. It’s easy to get overwhelmed by all there is to do in Venice, so let the concierge help you with some off-the-beaten-path excursions. Take private boat tours to antique wineries, go behind the scenes of the city’s artisan workshops or try an evening kayak tour that allows you to seen San Marco by moonlight. You can even have a private picnic during a gondola tour. Bring your bathing suit — the hotel has the only pool in Venice. Plan to swim laps in the heated Olympic-sized pool filled with filtered seawater. 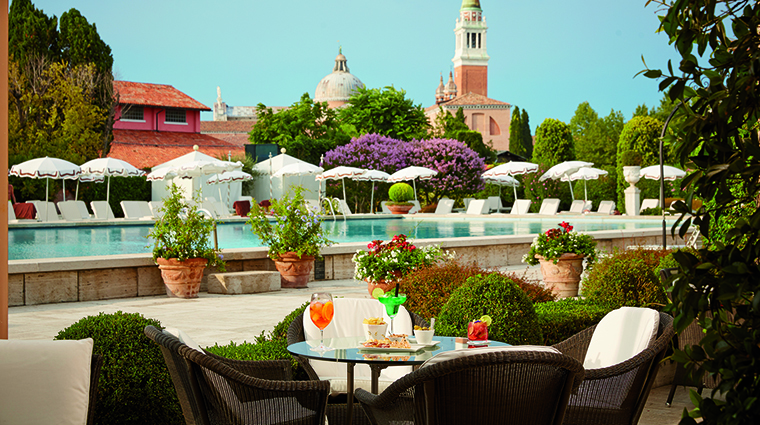 Set on the tip of Giudecca island, Belmond Hotel Cipriani is a bit more removed from the heart of Venice. But its 24-hour complimentary water shuttle will bring you to the city center. The 95 rooms and suites vary in spaciousness, but all are well appointed with private balconies or terraces. No matter which you choose, you’ll have easy access to vistas of San Marco, the gardens or the lagoon. 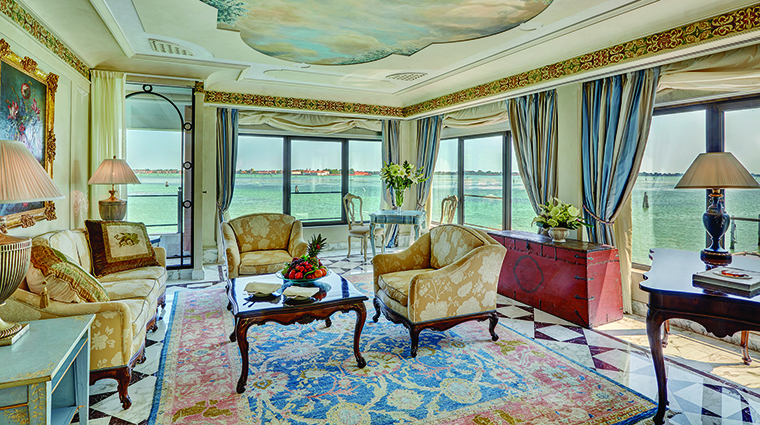 Rooms carry an elegant air with classic Venetian décor and a pale color palette. For the royal treatment, book the Palladio Suite for a private dock, floor-to-ceiling windows with 180-degree views of the water and a heated outdoor plunge pool. After you arrive, expect to find an impressive welcome amenity waiting in your room. During our visit, it was a vegetable crate with mini-bottles of freshly made juices. Wine enthusiasts will enjoy Enoteca: La Via Della Sete, a vino cellar that flaunts a collection of more than 1,000 labels. For gorgeous lagoon views in a casual atmosphere, partake in dinner at Cip’s Club, a light lunch at Porticciolo Pool Restaurant and pre- or post-meal drinks at San Giorgio Bar. Oro, from executive chef Davide Bisetto, is a hit with gourmands (for its beautifully plated, high-quality dishes) and oenophiles (collection of local vintages and global labels). Dine on hand-made pastas and rustic Italian seafood dishes at Giudecca 10, where a robust wine list pairs beautifully with the terrace's water views.